Used this growing up as a teenager always got the job done for cheap!! A great mascara for a great price. I really love this mascara, especially with the new versions that Maybelline has recently put out. The different colors are also really great, I have dark eyelashes so I love the very dark black, but the brown and even their colors (such as navy) are nice for a bit of a change up when the mood hits. The bright pink case is also really easy to find in my pursue/bag when I take the mascara with me. Performance The brush is super easy to use, the mascara goes on very smooth and with out clumps (at least for me) and lasts all day. I do have some trouble removing the water proof mascara at night, but a good eye makeup remover usually does the trick, although just soap and water leaves a lot of the mascara still on my lashes. Ease of Application The brush is nice and large, which makes for easy application. The brush gets a good coating off mascara the first time I remove it from the tube so I don't have to keep putting it back in for extra mascara. I don't need many coats before my eyelashes look long and full which I love, the less make up I need for the look I'm going for the better! I personally use this Maybelline Great Lash Waterproof Mascara as my everyday mascara for work. I use it in the color Very Black, which looks perfect. It does not run since it is waterproof. It leaves your eyelashes with volume and they look stunning afterward. Maybelline products are cheap all-around, and I've always been drawn to their magazine and television advertisements. That being said, I bought the Great Lash Waterproof Mascara hoping it would give my lashes the boost they needed, while lasting the whole workday. I had used Lancome in the past, but I wanted to try a cheaper alternative. While Maybelline's mascara made my lashes twice as long, I wouldn't say they had more volume. They got clumpy really quick, kind of looking like spider legs. That's what you want to avoid when applying mascara. Anyway, the liquid was chunky, would smear underneath my eyes when I blinked or closed them, and was difficult to remove at bedtime. It was too liquidy. I felt like I was applying liquid eyeliner, but to my lashes, so it's no wonder I looked a bit sloppy within a few hours of first applying the mascara. I guess you get what you pay for, and I won't say that I was ripped off. This product is a good fit if you are in need of cheap makeup, or don't expect it to last all day. As a staple for every girls makeup bag, it's important to pick a good mascara. No matter what look you're going for, weather it be every day use, to the most dramatic makeup look ever, this mascara is always a go to choice for me. I have very oily eye lids so finding a good water proof mascara is key if I want to avoid raccoon eyes by the end of the day. Great lash has always been the one for me, so when I heard they has a waterproof version I bought it immediately. Not only does it give you very natural looking lashes, but the product is very build able so you can get as voluminous as you care to go! The color is very intense, giving you incredibly intense black lashes. When paired with false lashes, I found this product out performed most of my high quality mascara's including those bought at department stores. It grabbed onto the oases with such delicate precision that you could hardly tell I had them on!! My sister & I have used this mascara for decades & swear by it. Every time I've switched to another mascara due it being cheaper or it sounds better I have tossed that 1 away & gone back to Maybelline Great Lash. It has to be waterproof & black. My eyelashes always look long, full, & I never get clumps! Ease of Application I like the curved brush best. It is much easier to apply evenly. Mascara is a staple in just about every woman's cosmetic case. Most of us have several brands that promise to do various things and even different shades of mascara to wear with certain outfits. One of the most reliable mascaras that I have used and most inexpensive is **Maybelline Great Lash Waterproof Mascara in Very Black**. 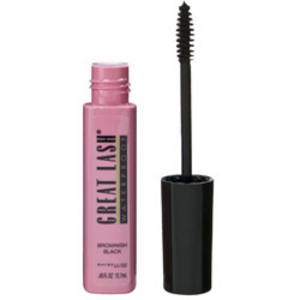 **Maybelline Great Lash Waterproof Mascara in Very Black** **Maybelline Great Lash Waterproof Mascara in Very Black **is a waterproof mascara in very black shade. It is indeed waterproof but still comes off fairly easy with a bit of cleanser on a damp cloth. The color is great because the very black works to make your eyes pop and is an excellent choice for going out at night. This mascara has been around for ages. I remember wearing it as a teenager. I remember recommending it for my own daughters when they started to wear makeup. It's a proven mascara that has stood the age of time. I love the fact that it is so inexpensive and wears as well as it does. Yes, it will clump every now and then, but then again most mascaras will clump at one time or another. 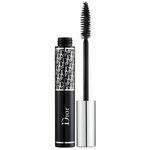 Overall this is a good mascara for the price and an excellent one for teens just starting out in makeup -- although you may want to suggest regular black or black-brown shade for them. **Recommendation** ****Maybelline Great Lash Waterproof Mascara in Very Black ****is a great choice for special occasions or a party. It wears well, stands out, is waterproof and won't break your pocketbook. Recommended: Yes! Is it just me, or do most of the mascaras on the market leave a lot to be desired? I have tried most of them at one time or another and they just do not perform the way they used to. Anyone get those little balls on the end of the lashes? I have never been a Maybelline user but it was recommended to me and so I thought I would give it a try. It is phenomenal. I wear contac lenses so a waterproof mascara is essential because throughout the day, the contacs need to be taken out and cleaned or lubricated. Regular mascara would not hold up to that type of abuse. Yet, it washes off in the evening with very little effort. It doesn't itch or burn and it doesn't run. Add to that the fact that it costs less than most of the mascaras on the market and usually there is a coupon in the Sunday insert. All of the above make for very compelling reasons to try this product. I would recommend this product as a great buy. Maybelline Great Lash - Best Mascara EVER WHY Pay More? I think Maybelline Great Lash Mascara dates back to the earliest days of mascara being commercially available. I have even read recommendations and reviews of it repeatedly over the years from make up and beauty artists who make their living styling and beautifying the most glamorous top models and Hollywood actresses. Well, if they have access readily to the top premium department store brand mascaras and yet they all keep coming back to Maybelline's Great Lash Mascara, there really must be something great about it. Every once in a while over the years, I would try a new mascara. I have used the Cover Girl curved brush mascara. And I really did like it. It was very good. However, I still found that over time, I would use the brush like a regular basic shaped brush, and yet I was paying extra for the curved brush? Needlessly apparently. The other mascara trend I tried at one point was the one from about 10 years ago that featured a white base coat which you were to apply first. Allow it to dry. And then apply the mascara on top of that. Well, the white base coat would dry out in the tube and had a tendency towards flaking over the course of the day. So its longevity and wearability didn't score high marks. I just kept coming back to Old Faithful Fantastic Mascara staple - Maybelline Great Lash! I do prefer the Waterproof mascara with the shape of my eyes mascara tends towards getting in the skin below my eyes plus then I never have to worry about swimming, hiking, or sweating being suddenly a problem. 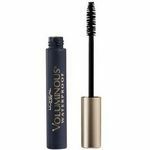 This is simply the best mascara out there and it is SO inexpensive! It's a Frugal Fantastic Find perennially in the fashion magazines. And will be for years to come! I absolutely love this maybelline mascara! When I apply it to my lashes it instantly lengthens their look naturally. It does this while spreading my lashes out and avoiding those big nasty mascara clumps. 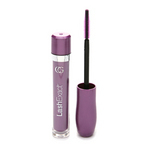 The contour bend of the mascara applicator makes it easy to use. My lashes curl just perfectly leaving them long dark and appealing. I can buy this mascara at my local grocery store and not have to worry about paying too much for it. I love that this mascara doesn't seem to dry out either. I have had the same on for about 6 months now and it is still in the same condition as the day I bought it. The only down side I see to this mascara is that it is somewhat difficult to get off, though I have found that q tips and make-up remover work wonders. Overall I'm extremely happy with this product, it truly does leave you with great lashes!